Just like clothing and shoes every fashionista knows that their eyewear including prescription needs to look good too. I have always been into eyewear especially sunglasses and it has become a bit of an obsession as I have a pair in my car, a pair in my bag and a few more at home. Nowadays there are many options when it comes to eyewear and right now I am loving Warby Parker eyewear as they have good quality, functional and stylish eyewear. I was excited to hear that they just launched their winter collection which is a perfect combination of rustic and modern. 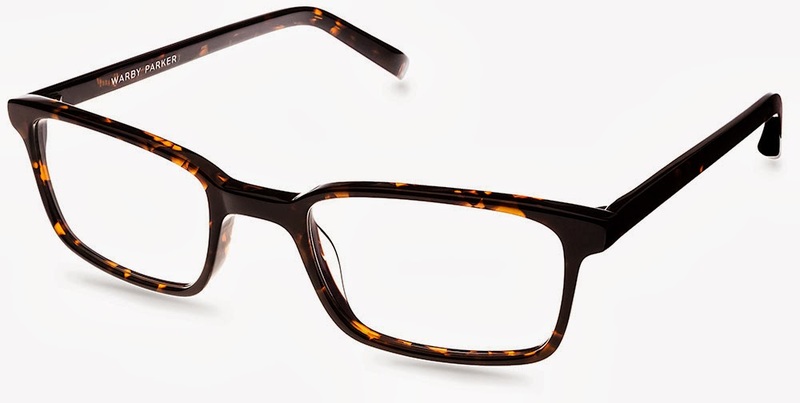 Most good quality eyewear costs an arm and a leg however at Warby Parker all frames cost $95 including presciption lenses. When selecting eyewear it is important to select the best frame for the shape of your face. For example if you have a strong jaw line and square chin I would suggest the Durand pair above as the roundish shape will soften your look. For those with a round face shape I would suggest a rectangular horizontal shaped frame like the Langhorne above. This kind of frame will make your face appear longer. ﻿ I have an oval shaped face and luckily people with oval shapes can get away with most styles. I have my eyes on a pair called the Watts from the Warby Parker winter collection. I love that it comes in newsprint grey which is a break from regular black eyewear. Thanks Alecia. Enjoy your new Warby Parkers!